If you love designer bags and make up, then hold on to your hats ladies, because THE FACE SHOP has just released a limited edition cushion collection in collaboration with My Other Bag a brand originating from Los Angeles, USA.“My Other Bag” is a premium canvas bag that leads fashion trends which is very popular among Korean and overseas celebrities and women. 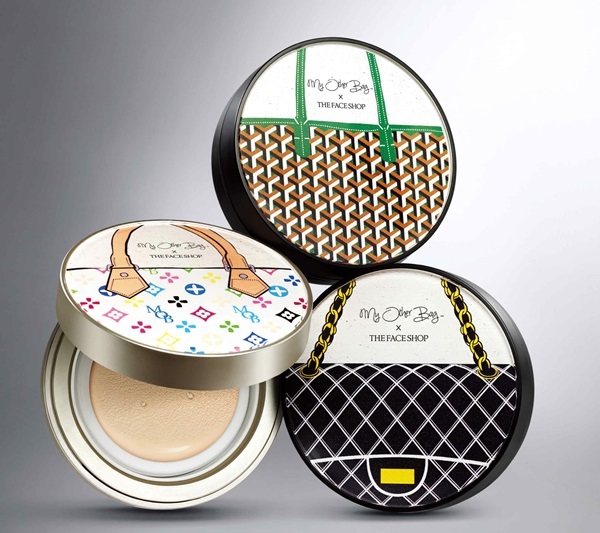 Different kinds of “It Bag” illustrations are presented on three selected products of THE FACE Cushion for customers to choose according to their preference, and the collaboration offers CC Cushion in a signature design as well as the miniature pouch of ‘My Other Bag'. 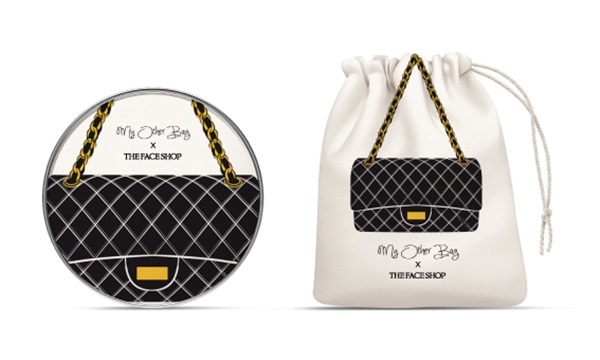 “My Other Bag” is a hand-printed premium canvas bag that presents the design of representative bags of overseas famous brands in the form of illustration. It has become a popular daily bag among many Hollywood celebrities and overseas fashionistas. It is a brand that began in Los Angeles, and was created by the Capture Marketing Resources Group and the Creative Director Tara Martin as well as by artisans with 25 years of experience in designing bags. It is a hand-printed premium canvas bag that incorporates illustrations of bag designs by famous brands such as Louis Vuitton, Chloe, Chanel and Goyard. It is made in practical size, making it easy to fold and very portable. So it can be used as a secondary bag to a handbag or a famous designer bag. – so that customers can choose any one according to their preference. “OIL CONTROL WATER CUSHION” makes skin look matte and fresh all day long with its oil control effect. For moisturized radiant skin with abundant moisture! Perfect to express blemish-free bright skin! “CC INTENSE COVER CUSHION” is a product that has the color control function of CC Cream and Cushion’s moisturising function, so it makes the skin look bright, clean, and flawless with a blooming effect. 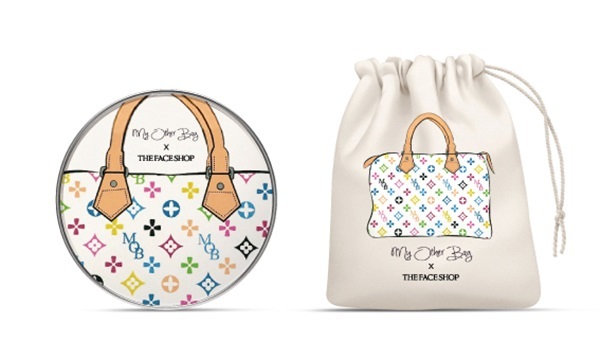 Also, in conjunction with their release, THE FACE SHOP will be having an in-store promotion whereby each purchase of a My Other Bag x THE FACE SHOP CC Cushion will entitle you to a 10% discount (when you spend RM100 and above) and free gift of a full sized Melting Color Lip Creamer worth RM42.90! The free gift comes in limited colours, but I assure you, these colours are really pretty too. Having seen these three My Other Bag x THE FACE SHOP CC Cushion in real life, I am really excited to try them out!! I'm really lucky that all three CC Cushion they have selected for this collaboration is suitable for my skin tone and needs. I can't wait to head over to any of THE FACE SHOP's outlets to purchase them! Needless to say, these stocks are limited, so if you want to get your hands on one of these, you better hurry up! So what are you waiting for? 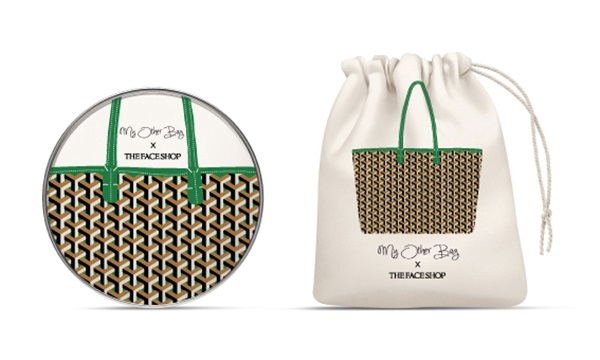 quick head over to THE FACE SHOP outlets near you to get your hands on these limited edition babies!! !